Poems written by four Derby High students have been shortlisted in a national competition! The Armistice 100 Competition, run by the University of Lincoln to commemorate the centenary of Armistice Day received 544 entries from students all over the country. 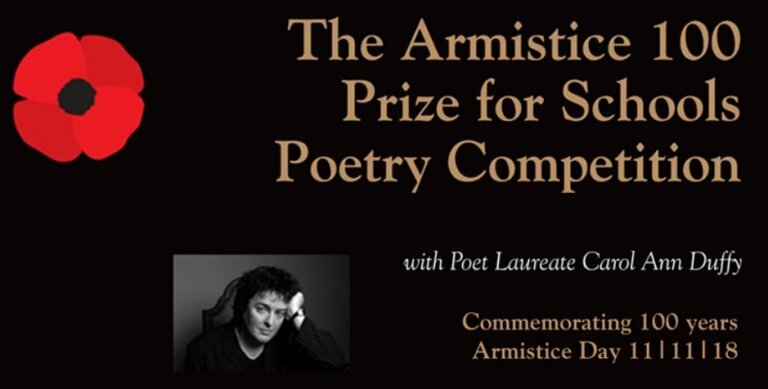 Every poem submitted was read by the Poet Laureate Dame Carol Ann Duffy and her fellow judges. The judges were extremely impressed with the quality of the writing received. As shortlisted poets our students’ poems will feature in a book to be published with a foreword by Carol Ann Duffy and the students themselves have been invited to attend an awards ceremony taking place at the University of Lincoln in mid-November where the overall competition winners will be announced. Congratulations to L5 (Y10) students Caitlin, Ella, Gopika and Maisie. To read their poems please click here. We look forward to seeing the poems published and to finding out how they get on at the awards ceremony later this month!